The mainstem Umpqua is closed to wild steelhead harvest, but remains open year-round for adipose fin-clipped steelhead. 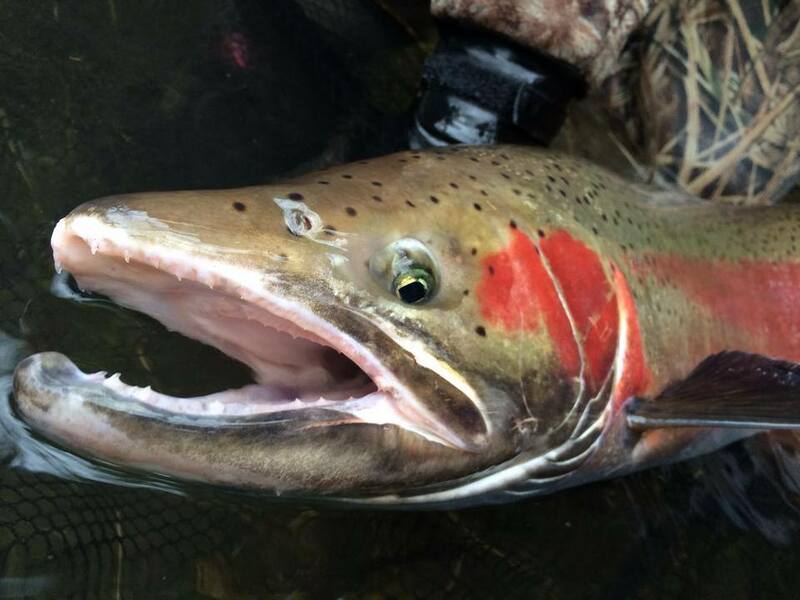 Winter steelhead fishing should begin to pick-up as river levels recede, and there are opportunities to harvest hatchery steelhead on the mainstem Umpqua. There have been reports of good numbers of hatchery steelhead being harvested on the mainstem, particularly around Cleveland Rapids. The mainstem Umpqua is closed for trout fishing until May 22. Please note the changes in regulations this year on page 33 of the 2016 Oregon Sport Fishing Regulations booklet. On the Main, anglers can harvest 2 wild spring Chinook per day and up to 5 wild springers from Feb. 1 – June 30. From July 1– Dec. 31, you can harvest 2 wild Chinook per day, and in combination with the other salmon/steelhead recorded on your salmon tag, up to 20 fish total. Fin-clipped hatchery fish can be recorded on a separate hatchery harvest tag that is available. There is no limit on the number of hatchery tags that can be purchased. Daily limits still apply. 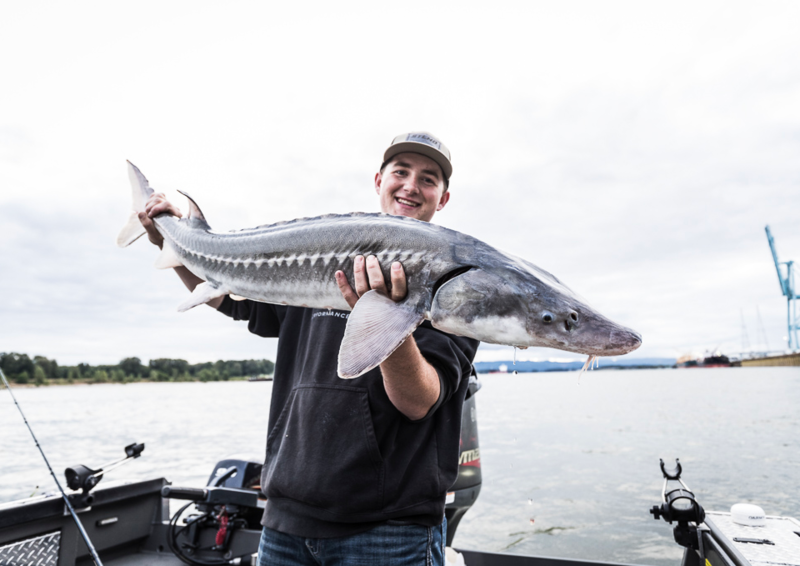 The “50 Places to go fishing within 60 minutes of Roseburg,” handout which is available online or at the office, identifies several good places for salmon and steelhead fishing. Winter steelhead angling is picking up, and the river has remained fishable even at higher water levels. Bank anglers targeting winter steelhead have been having luck around Rock Creek. Remember all wild steelhead must be released unharmed. Note that from Oct. 1 through Dec. 31 and Jan. 1 through June 30, fishing in the fly water area is restricted to fly angling only with a single barbless fly. Per the new regulation on page 31, 32 of the 2015 Oregon Sport Fishing Regulations booklet, from Feb. 1 – July 31, 2 wild Chinook per day can be harvested.Ten wild Chinook may be harvested in the North during this time frame in aggregate with wild Chinook harvested in the Main. 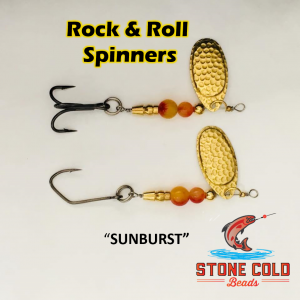 Remember that from March 1 through July 31 the anti-snagging gear restrictions apply on the North from the Lone Rock boat ramp upstream to the fly area boundary above Rock Creek. The Mainstem from Soda Springs Dam, including Soda Springs Reservoir, up to Slide Creek Dam is closed year-round to fishing. The South Umpqua is currently open to adipose fin-clipped steelhead harvest, and winter steelhead fishing will improve as water levels recede. 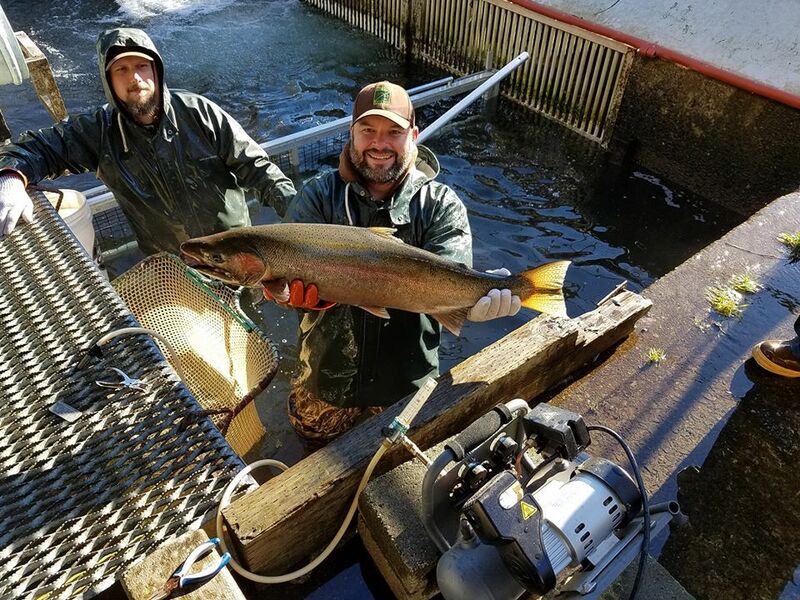 There will be excellent hatchery steelhead harvest opportunities on the South Umpqua as the season progresses, especially around Stanton Park in Canyonville. 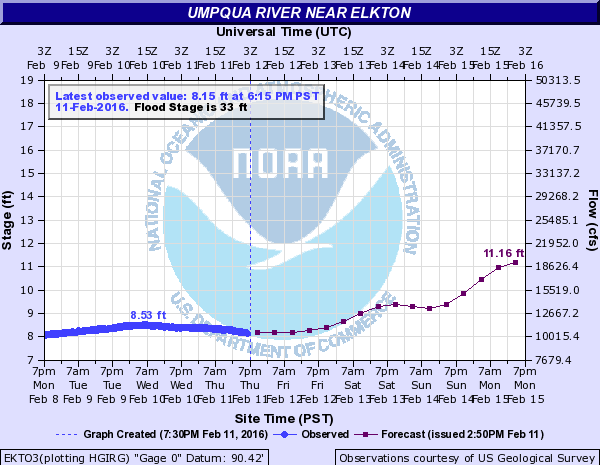 Click Here for more, Umpqau river Fishing Reports! Umpqua river fishing maps, Umpqua river summer run Chinook, Fishing on the Umpqua river, Umpqua river fishing guides, Umpqua river fishing trips, Umpqua river fishing access, Umpqua river fishing spots, Umpqua river fishing hot spots, Umpqua river fishing locations, Umpqua river winter steelhead, Umpqua river steelhead fishing, Umpqua river fall coho fishing, Umpqua River Guide, Umpqua River Guided Fishing Trips, Umpqua River Fall Chinook, Umpqua River Spring Chinook, Umpqua River Fishing Access locations, Umpqua River Fishing Techniques, Best Methods for fishing the Umpqua River, Guides on the Umpqua River, Best Umpqua River Guide, Southwest Oregon Fishing Guides, Southwest Oregon Guides.